If you are seeking an interesting species the Leaf Fish Monocirrhus polyacanthus are well worth seeking out. 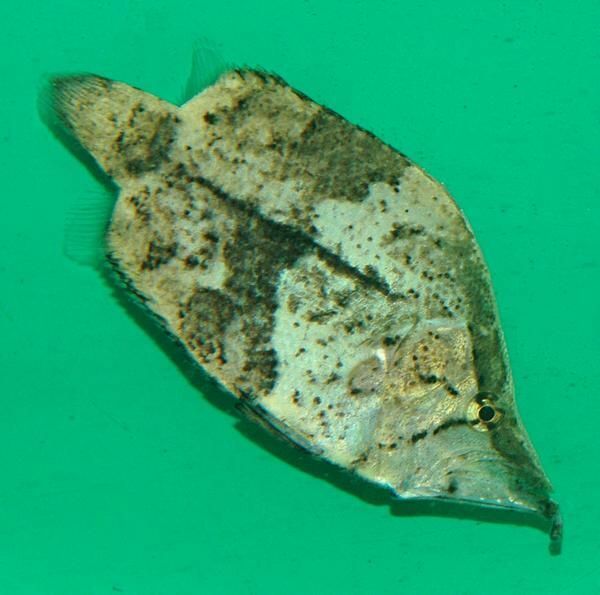 Laterally compressed, leaf-like fish with a mottled coloration and a large mouth. 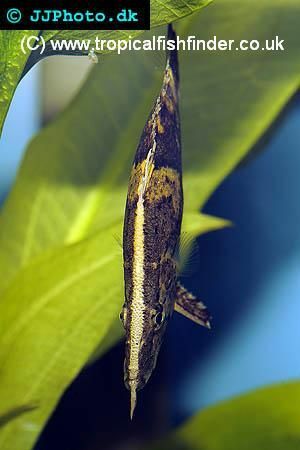 A short "stalk" at the end of the mouth and a passive, head-downwards mode of swimming completes the illusion, allowing these fish to hide among dead leaves until such time as they choose to swallow their prey. Breeding occurs in soft, acid water. A pair will clean a suitable surface such as a stone or large leaf, and then once the eggs are laid, the male will guard them. The female should then be removed. The eggs hatch after four days, at which point they will eat newly hatched brine shrimps and other small live foods. We do not see them that often in the shops now, but Wildwoods based in Enfield, Middlesex have a few in stock at the moment whic are available for over night delivery to your home. To find out more about these fish, please click here.